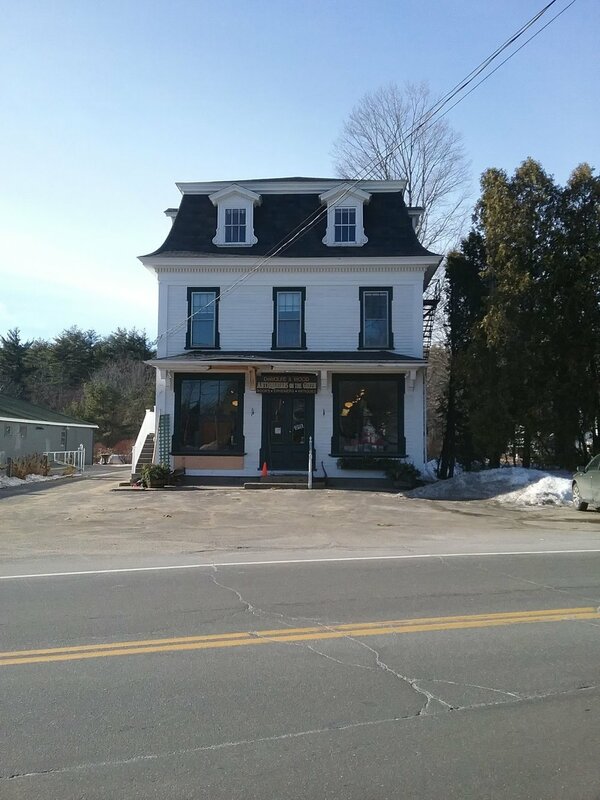 The restoration of this storefront overhang in downtown Alfred, ME was facilitated by an 18 wheeler sliding into the overhang during a winter ice storm. Thus our scope of work was to fix all that was damaged by the accident. This included the reconnecting of the brackets, structural and sheathing repair, cornice rebuild and paneled ceiling repair.